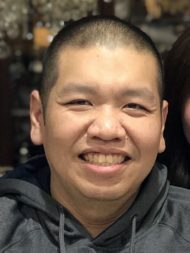 Hung V. Lien, 39 years of age, passed away on April 1st, 2019, after a brief battle with cancer, surrounded by all his loving family members during the time of passing. Hung worked as a Solution Consultant at Cotiviti based out of Boston. He was a truly intelligent person who excelled at everything he put his mind to. A tough posterior but really a warm-hearted teddy bear on the inside. Well loved and respected by all his families, friends, and colleagues. Anyone who knows Hung knows he was very tech savvy and enjoyed the latest gadgets. He was a doting son who made time to FaceTime the family while living in Boston for 5 years. Family and friends are invited to attend a viewing on Friday, April 5th from 7-9 PM and on Saturday, April 6th, from 9-11 AM at the Charles F. Snyder, Jr. Funeral Home & Crematory 3110 Lititz Pike, Lititz PA, followed by interment in the Millersville Mennonite Cemetery. On behalf of Brethren Village Home care I send our sincere sympathy to you and all family. Even though I never met Hung, I know he made you very happy and was a caring man. God Bless!